تقع Plum Serviced Apartments في حي Carlton بمدينة Melbourne على مسافة قصيرة سيراً على الأقدام من مقاهي ومطاعم شارع Lygon وسوق Queen Victoria وحديقة Lincoln والحي الصيني وحي الأعمال. توفر Plum Serviced Apartments Carlton شقق استوديوهات مفروشة بالكامل ومجهزة بسرير بحجم كوين ومطبخ ذي مرافق كاملة. وتضم جميعها خدمة التكييف وصالة مريحة مجهزة بتلفزيون ومشغل دي في دي. يعتبر التراس الهادئ لـ Plum Serviced Apartments Carlton منطقة ممتازة للاسترخاء أو التمتع بالمأكولات المشوية مع الأصدقاء. Please note that there is a 1.5% charge when you pay with a Visa or Mastercard credit card, and a 3.5% charge when you pay with an American Express or Diners Club credit card. Please note that if there are insufficient funds available on the credit card to pay the security deposit, then a AUD $300 cash bond must be paid upon check-in. 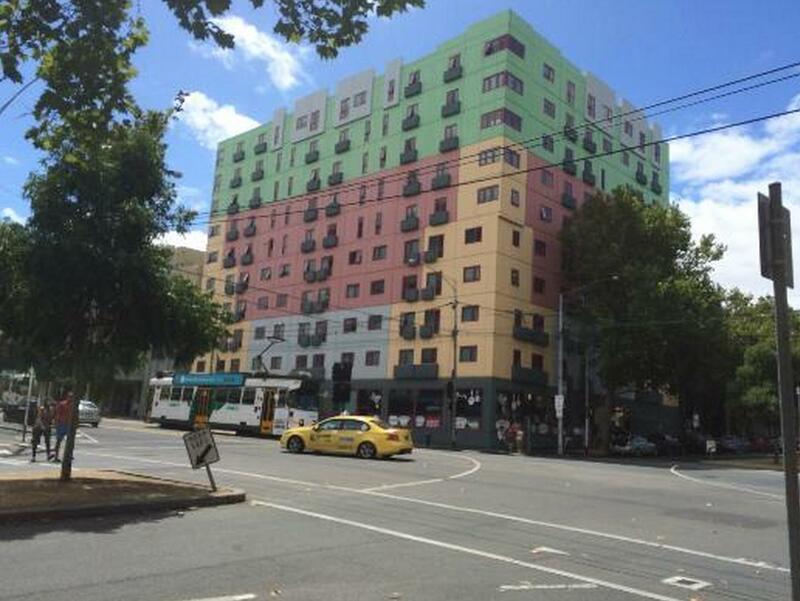 This serviced apartment building is centrally located but really easy to miss. I’ve lived in Melbourne for most of my life and I didn’t know it was there. I was impressed enough to stay twice and will most certainly stay again. Great service in the reception. Spacious and clean room with modern bathroom, and complimentary condiments. The apartment is localized right outside the CBD, but is very quiet at night. So far is good, but!base on my observation the reception area is poor presentation to encourage for guests , we're staying there for 5days and 4night at room 222, the room was spacious for couple than the other 3star hotel, but i think a presentation must to improve, room is quite dark, plum at swanton is good for budget, the tram is just 1 to 2mnts walk going around to CBD Melbourne.. The place was dirty the room had marks all over the walls as well as hair everywhere even on the pillows and the floor mat for the bathroom looked like it hadn't been changed. They need to update their cleaning procedures as well as retrain staff. They also need to sound proof the windows as we could hear the conversations of people below as if they were in the room, as well as the trams running all night (which could be a good thing but not for this place). The range hood was also broken. The hallway on level 2 did smell a lot like curry at dinner times and my friend's room was a bit like it had contained a smoker at one time, but it was only mild and didn't bother her at all - if you kept your room door shut, the curry didn't impact on the smell in your own room. But there were 3 of us in individual rooms on level 2 and no complaints. They were kept clean by staff and were great for individual living. I even went out one day in a rush to come home and find the dishwasher had been loaded and run for me. The nights weren't too noisy and the gentle white noise from the climate control individualised heater actually worked to provide a really good nights sleep. It was a one-room apartment, but they had everything you could possibly need: kitchen stocked with all the wares, a desk for studying, a two-seater sofa with a TV, a nice bed, clean toilet & a powerful hairdryer. The interior and exterior of the apartment looks and feels dated, but comfy nonetheless. I chose the apartment based on location really, For the price, it's pretty close to Melbourne Central; about 10 minutes walk probably? Also appreciate the laundromat, saved me from doing tons of laundry when I returned home. Only downside was that the window opened up to the inside of the building, where they had BBQ pits and smoking area (I'm assuming). Would've been perfect otherwise. Good location, about 10-mins walk to Uni of Melbourne, Victoria market and CBD districts. Front desk staff is nice. Our room is on 1/F which is abit noisy at night. It has bleach smells on the first day visit. Laundry needs charges and located in the ground floor. Other than that, it's money worthy to stay. The shower pressure, location & easy access to hotel after hours. our one bed room apartment had a dishwasher. The apartment was smell and lack of light. We felt very uncomfortable during our stay because it seemed we were staying in basement. The TV was so small and old. I think I won't be back here again.